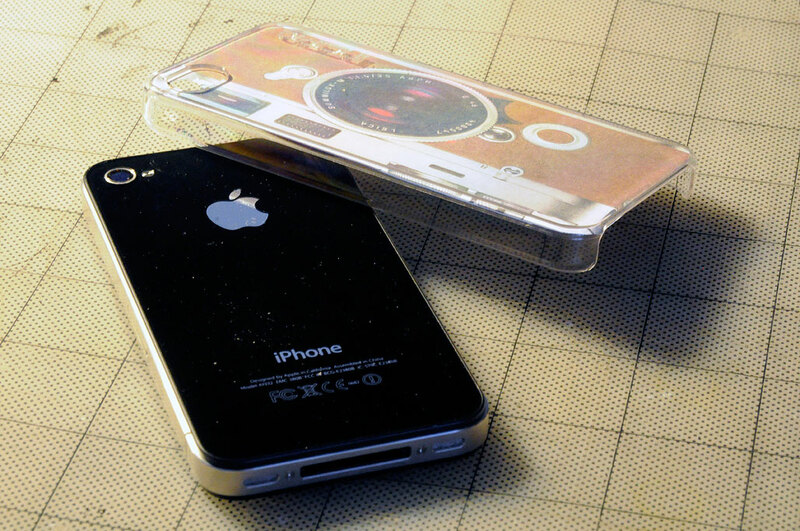 The interns got the idea for this iPhone4 DIY project from an item they saw on Etsy: a skin for the iPhone4 that gives it the appearance of Leica camera. They thought it was such a cool idea that they wanted to make their own skins. A quick search turned up a surprisingly large number of shots of old cameras to serve as seeds for their iPhone skinning project. A few quick size adjustments in Photoshop was all it took to create a bunch of images suitable for use as skins for the iPhone. 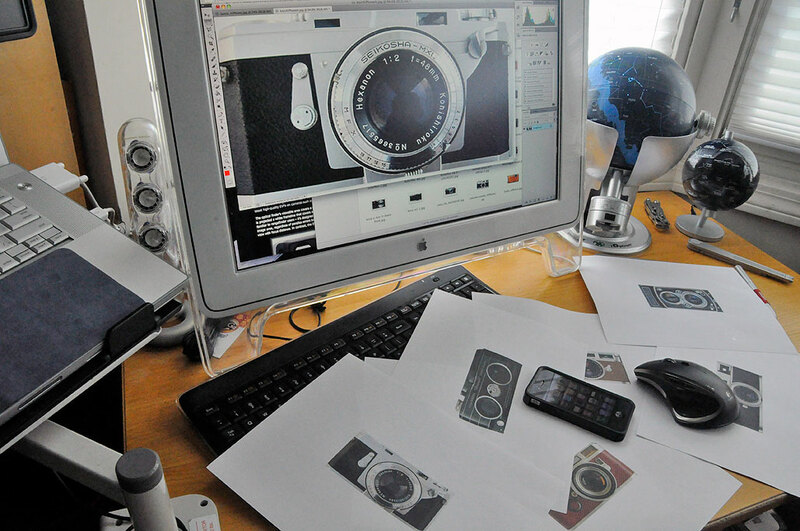 The interns’ problem was that there were many cool camera images and they liked them all! Obviously, it was not practical to turn them all into skins. They decided a better approach was to print them out and mount them using a clear iPhone4 case. This way, they could swap skins quickly whenever they fancied a change. Kids. The colors of these prints appeared muted because they were not printed on photo paper. The interns wanted to work out the process before printing out better versions. They found the best way to get a clean cut is to use a steel ruler an a razor blade. A good self-healing cutting mat also made all the cutting easier. The cases all have curved corners. However, the interns discovered that it was easier to first cut out the image then worry about the corners. The best way to get the proper curve was to use the cardboard insert from the packaging as a template for cutting the corners. Just take care not to accidentally cut it instead of the skin. 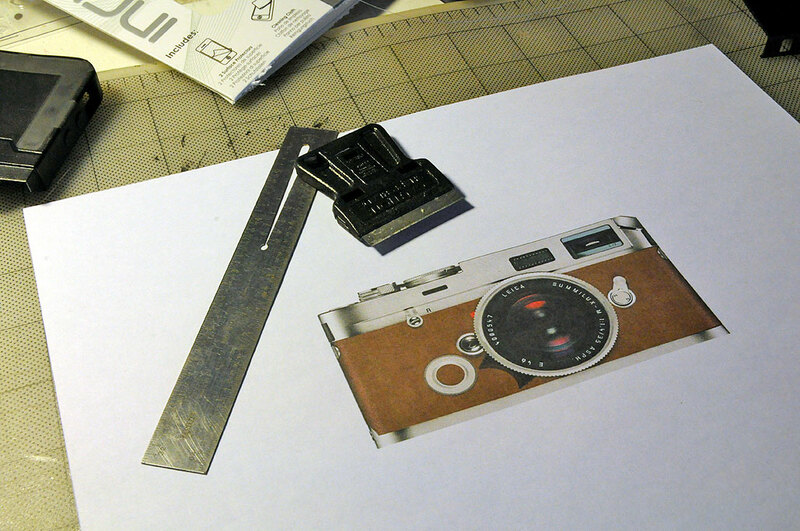 The last step before mounting the skin was to create an opening that accommodated the camera lens. The interns found that a regular hole punch made a perfectly sized hole. To know where to make the hole in the skin, the interns once again used an image of the iPhone from the packaging as their template. The project is a fun way to give the iPhone some personality whenever you want, especially for folks who love to use their iPhones to take photos. The clear cases certainly made switching skins a breeze. Our next step is to try some higher quality printer paper. However, one problem we may run into is the fit. The higher quality photo papers may be too thick for the cases. We’ll give it a try and let you know. We’ll also have a follow up on how the different cases fare with the constant on/off and how they held up InTheWild.